Have you ever designed an admin template so far? The process is very time consuming most of the time. 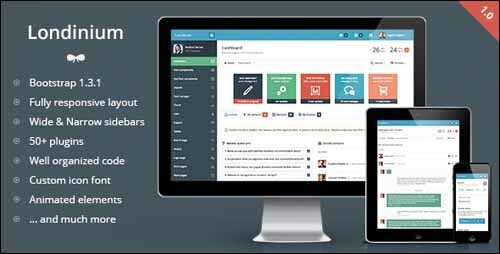 To make things easier for you we compiled this list of 20 premium and free admin templates for you to download and use in your own projects. 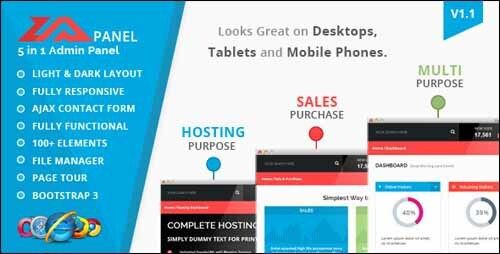 These are all professional premium and free admin templates, with lots of cool features and high quality designs. Enjoy! Want more inspiration? Check out these HTML Admin Templates. 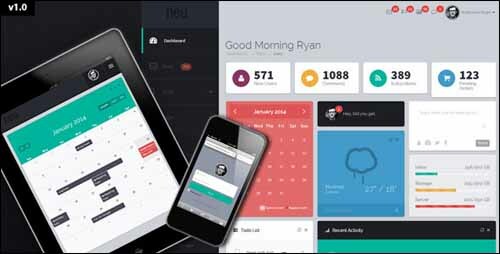 This free admin panel PSD template follows the design trends in modern day admin panels. It has a flat design and lots of cool elements. Free to download too! INADMIN is a new FREE administration panel. It has a lot of cool features like: Digital and Analog watch; Tableless; Full css and xhtml design; Dropdown menu; jQuery sidebar accordion menu; Nice forms design. 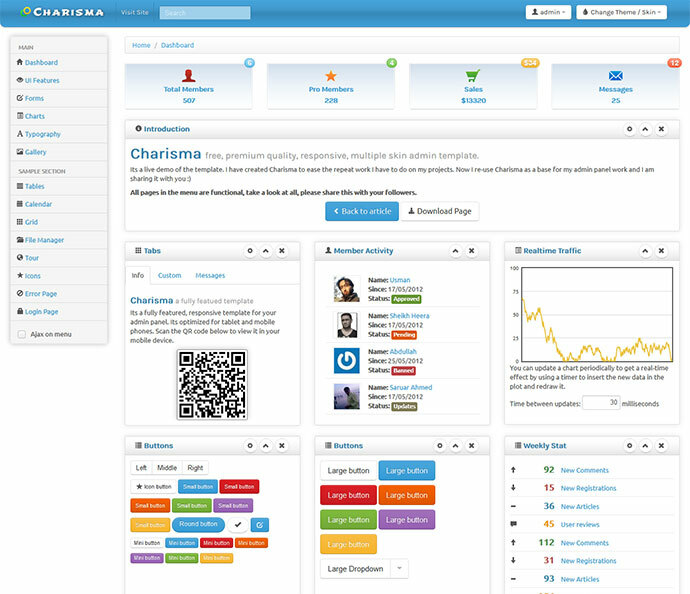 Charisma is a fully featured, free, premium quality, responsive, HTML5 admin template based on Bootstrap from Twitter. It comes with 9 different themes to suit your style and application type. 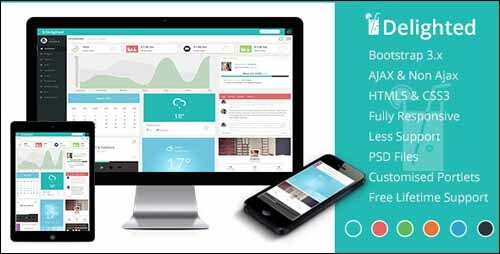 This free admin skin combines beautiful web designs with user friendly applications. It’s clean, user friendly and attractive. 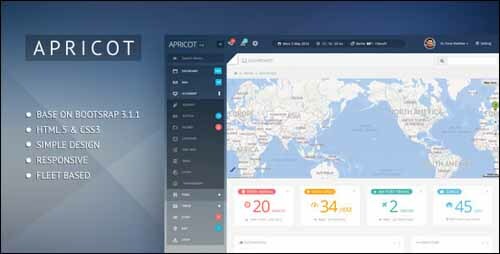 Apricot Bootstrap 3 Admin Dashboard Template is an admin template build with bootstrap. One of its great features is that the side menu fashion icon in the “menu text” area appears only as a tooltip. 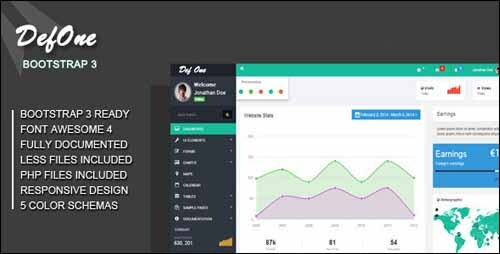 DefOne is a flat and responsive admin theme. DefOne contains many usable components and elements. 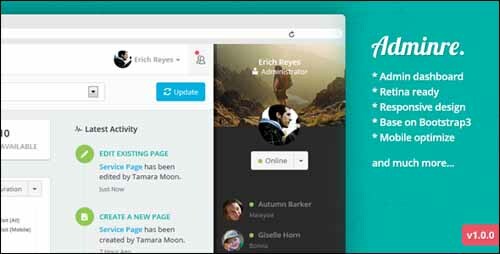 It is perfect for your next admin/backend project. AdminEx is a flat theme packed with a bunch of useful components, organized and structured properly. AdminEx is slick, fat free and well documented. 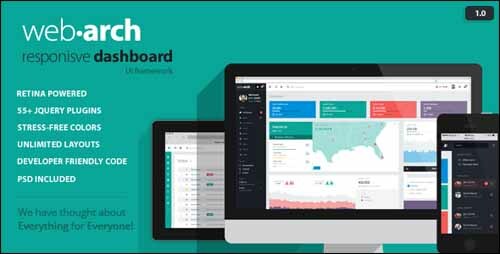 Among the key features of this flat responsive dashboard template are the following: Built on AJAX; Built on LESS for faster and more efficient coding; Built on Twitter Bootstrap 3.0; Layered PSD available for entire theme. 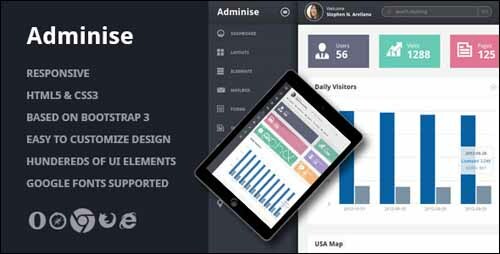 Adminre is a flat and responsive admin theme. 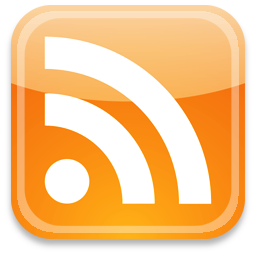 It contains many usable components and elements. 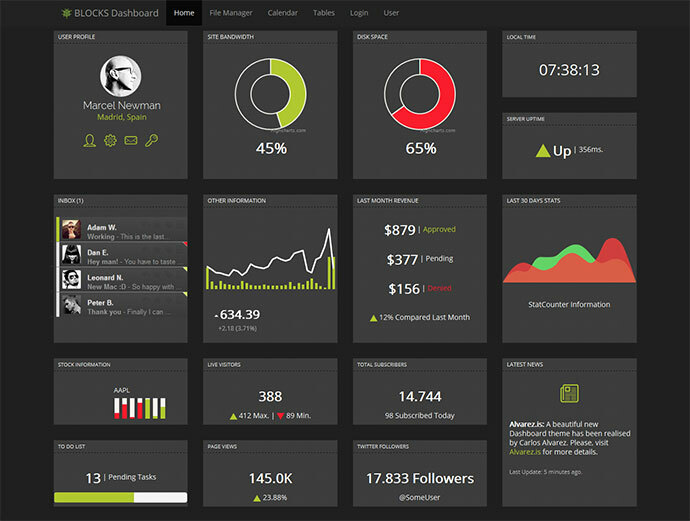 Great for your next admin dashboard project. Londinium is a new premium admin skin with lots of custom elements, 35+ plugins and very flexible content structure. Londinium is powered with Bootstrap framework. 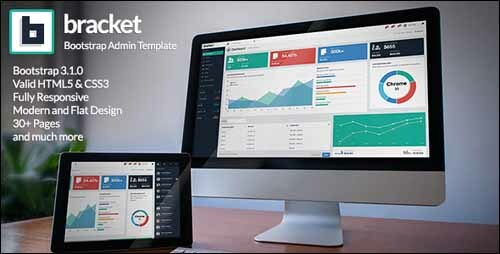 Bracket is yet another New Bootstrap 3 Admin Template with jQuery plugins that is perfect for your next projects. 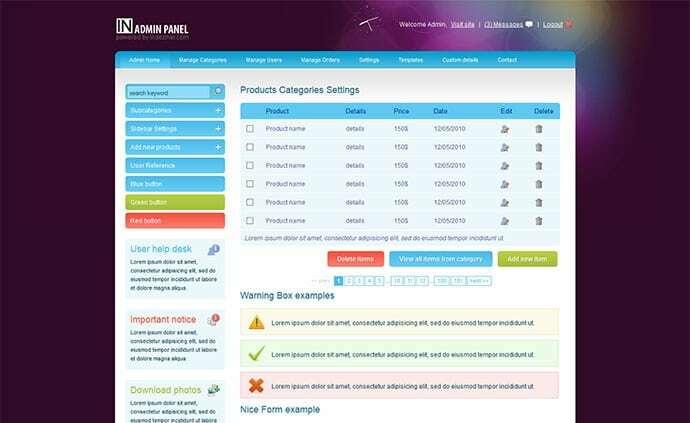 Minoral is premium flat admin theme built on popular twitter bootstrap v3. Minoral is fully based on HTML5 + CSS standards. It is fully responsive and clean on every device. 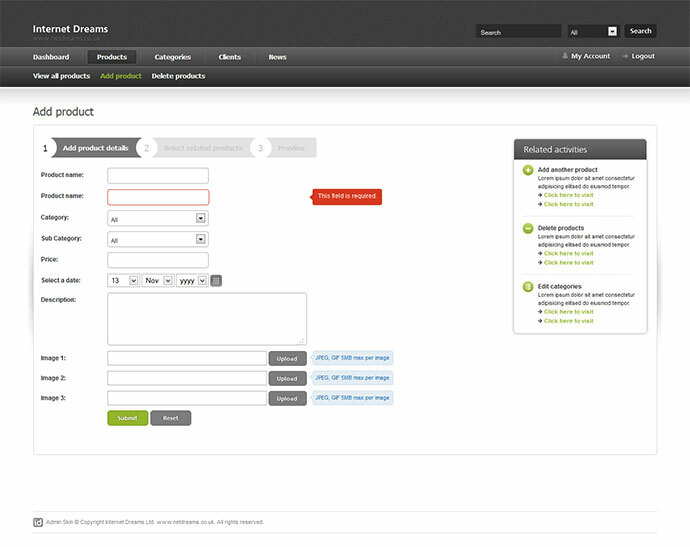 Adminise is clean/corporate admin panel design which comes with tons of nicely designed features. It’s responsive too! Blocks is really easy to use and deploy. It comes with a detailed help to guide you through the configuration. 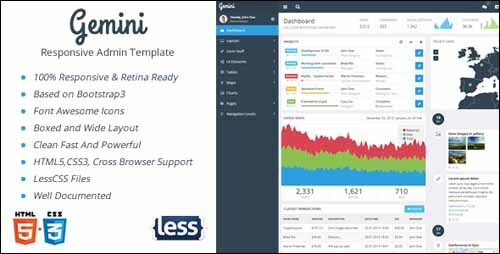 Gemini is a fully responsive admin template, based on Bootstrap3 Framework. This template is very powerful, clean and fast, easy to customize and use. 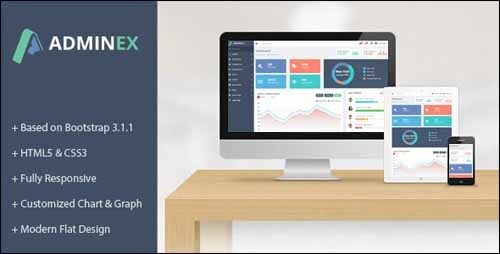 Neu is a responsive and multipurpose admin template built with the Twitter Bootstrap 3.0 Framework. 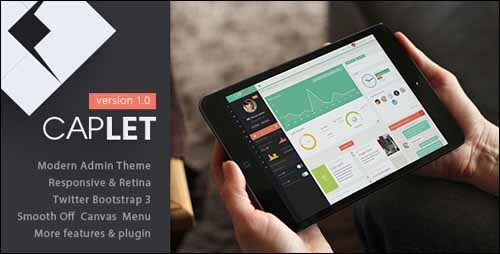 Caplet Admin is a modern flat admin template , based on Bootstrap Framework 3+HTML5+CSS3. Plugins are included for all purpose use. 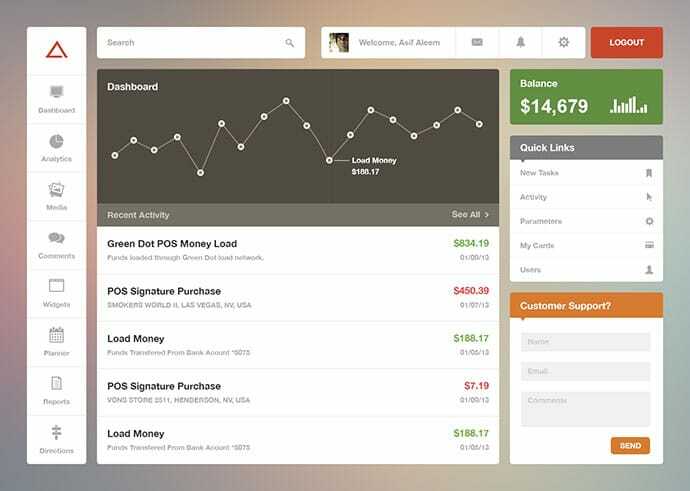 This is a feature-rich Admin Panel, with a Web App and 2 Front End designs. Built on the latest version of HTML, it is super responsive. 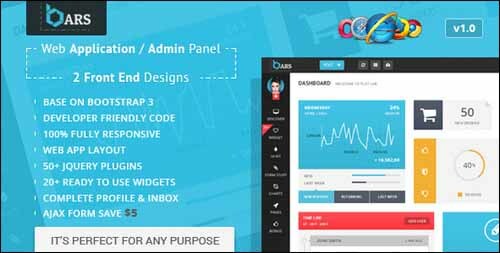 Featuring 32 fully functional elements pages, it is the largest and most powerful Bootstrap admin template ever! 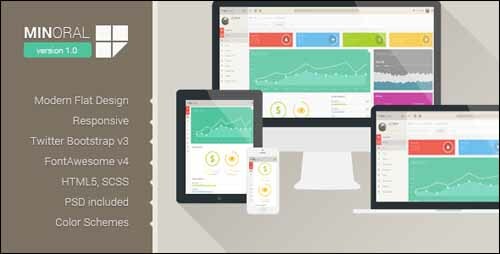 This is a great responsive dashboard, retina powered, with 5+ plugins, great colors and unlimited layout options. 20 Awesome Business KeyNote Templates – both free and premium!